One of the most essential artists in the world of electronic music goes by the name of Robert Nickson. With over a decade of experience in the world of electronic music, he is nothing less than formidable. Despite his activity dipping low, over the past few years Nickson has been steadily producing quality tracks. 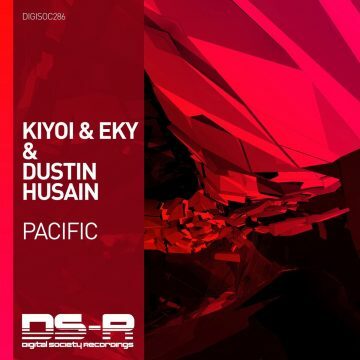 His tracks very much stand out in any set and all take on an original approach. From the heavenly sounds of his reworks to his heavier hits like Tachyon, each track takes on a distinct form. Far from the norm of today which takes on a formulaic and generic approach. 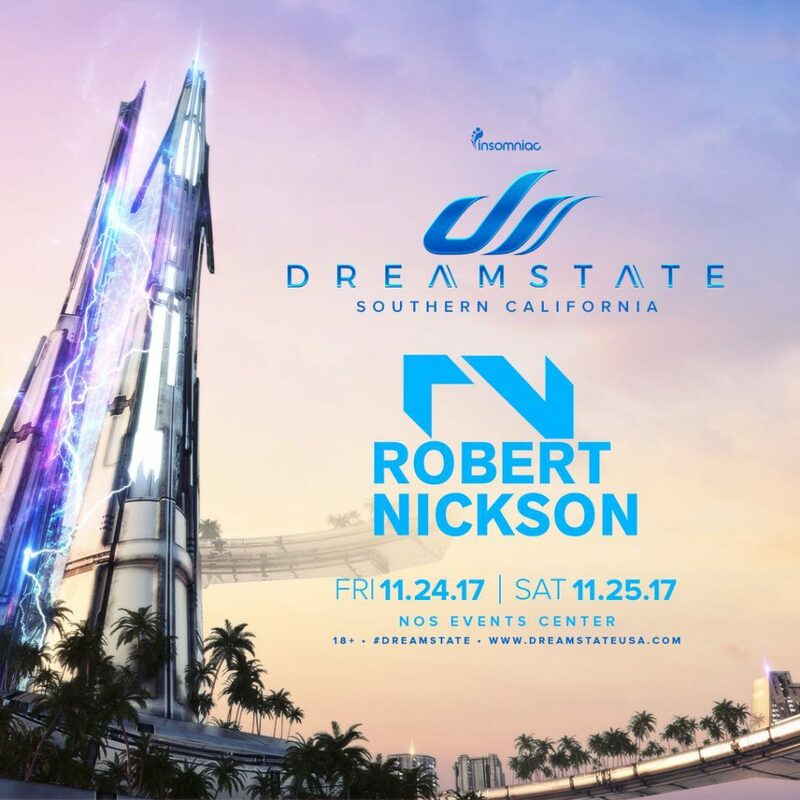 Being booked on the Dreamstate line up was truly a treat for the fans in the United States. This isn’t an artist who comes to the states very often which is a shame. With such raw talent, Nickson is definitely one of those artists who will take it next level in a performance. Including giving the audience that taste of what uplifting trance is all about. That mental state of bliss that most of us find with this particular genre of music, utter happiness. Luckily we were able to ask the man himself a few questions as well as give some fans a voice to ask what ever they’d like in a very rare opportunity. Juan Baer: Let’s talk history first for the newer fans and those who don’t know you well and are about to discover you: briefly your history of involvement with trance, how and why you got into the genre, etc. Robert Nickson: I got into trance around 1999 after a friend gave me Tiesto’s Innercity cd. I’ve been hooked to the sound ever since. I started buying records around 2000 but I soon realized I wanted to make this music and started producing in early 2001. I signed my first record (Out There) in 2003 at the new and fledgling record label Armada Music. Since then I’ve done a bunch more tracks and remixes, mainly for Armada, Future Sound of Egypt, Pure Trance and Amsterdam Trance Records. J.B: Last year you remixed your track under Masters and Nickson with Justine Suissa, it seems like that remix set a pretty massive spotlight over you, any particular reason why you chose to remix that track as well as bring back Spiral? As for Spiral, I was actually working on another track and had the kick, bassline, percussion ‘skeleton’ of the track, but was struggling to get a good melody. So I thought I’d try it with the Spiral melody instead. It worked really well and so I just stuck with it. J.B: Will you ever work with Dave Masters again for another wicked track? R.N: Never say never but it seems highly unlikely. Dave has moved on with life and seems to be enjoying his other career and family life. We did try a follow up after Out There but I was never happy with any of the ideas we came up with. J.B: About your aliases… so RNX, usually artists have a particular purpose for an alias, how is RNX different from You, Robert Nickson, through your eyes. And can you tell us about any other aliases you have around and what their purpose is? R.N: I started RNX at a time when I was struggling to produce uplifting trance. I wanted to create something slower and more progressive yet still keep that trance feel; usually I just refer to my RNX tracks as slow trance instead of progressive. As for other aliases, I used the alias ‘Nick Robertson’ in the past as a joke, with a track called ‘Identity Crisis’. J.B: What is the thought process for Robert Nickson, the highly regarded producer, to make a new track? R.N: I don’t have a specific thought process, I just sit in the studio and whatever happens, happens. I often find that when you try to really force yourself to make a certain style you end up with something completely different, so I just play around and see what I come up with. J.B: About your collaborations and work with other artists, you’ve worked with Amir Hussain, Re:Locate, and many others. Are there any artists on your bucket list to work with? R.N: There are loads of artists I’d love to work with! I’ve met a lot of artists at events last year and was asking for and promising collabs all the time. That’s something I’m more careful with now. It’s not that I don’t want to, it’s just that you can’t do 17 collaborations in a year. Airwave and Push were two of my biggest heroes when I got into trance. I’ve worked with Push last year, so next on my list is Airwave. I also did a remix for Tony Anderson on Pure Trance last year and he suggested we should all (Tony, Solarstone and me) work together at some point. I’d love for that to happen as I’m a huge fan of both. J.B: During your set at luminosity, you whipped out an electric guitar to play live. Is that something you do all the time or plan on doing from now on or was it just spur of the moment? R.N: So my set at Luminosity was a LIVE set. I brought a laptop, keyboard and some other gear and played a live set instead of a dj set. I brought my guitar too but I was not sure if I was going to through with it or not as I was quite nervous about using it. The guitar is definitely not something I do all the time and this was only the 2nd time I’ve done a LIVE show. I do plan on doing more live shows in the future, starting with the Pure Trance event at ADE this year. J.B: Congratulations on being voted #38 on Trancepodium’s top 100 trance dj’s. A super massive leap over 100 spots, why do you suppose that is due to since you’ve always had a grand following? R.N: Thanks! This past year has been particularly good for me. My tracks have been doing really well and I’ve been playing out a lot more. Since 2014 I’ve really been pushing out a lot more tracks and that is really starting to pay off. The Trancepodium chart really reflects that. J.B: I keep seeing that ghostbuster’s shirt all over your social media accounts, can you tell us about it? Seems like a really heavy message to send out. How has the response been? I don’t mind people who use an engineer to help them finish what they’ve started. 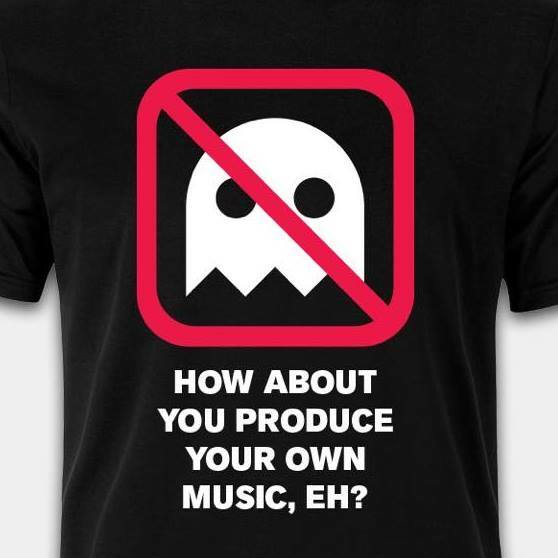 What I don’t like are frauds who do nothing and just pay someone for ‘their’ tracks and use it purely as a marketing tool. J.B: So you’ve been booked for Dreamstate and will trek back to the US. You were one of the couple of surprises on that line up in my and others’ opinions. With that being said, to your fans who are happy to be able to finally see you I gave them a little bit of a voice to have an opportunity to ask you things. The questions originate from members of a facebook group called “Dreamstate Unofficial”. What tracks and artists were your inspirations when you first started producing? 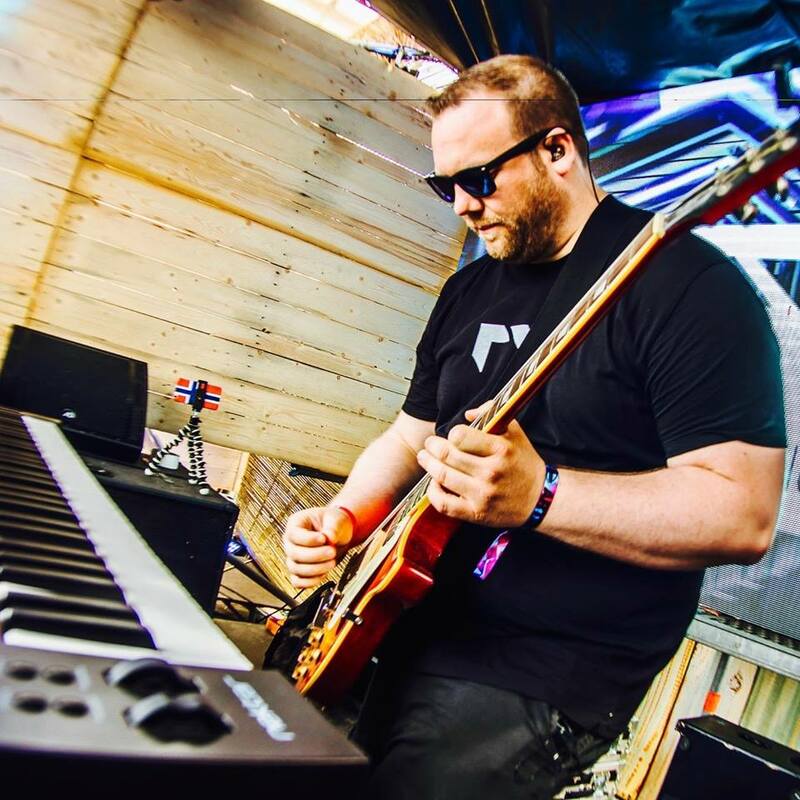 – Andrew L.
R.N: Ferry Corsten, Airwave and Push were by far my biggest heroes and inspiration. Too many tracks to mention but basically all their stuff from 1999 to 2005 has had a huge effect on me. Essence was an amazing album, any word of a new album in the foreseeable future? 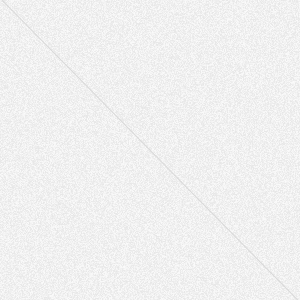 – Neemesh C.
R.N: Thanks! Working on a new album now actually which I hope to have done before the end of the year. Will you continue on to make darker melodic trance? Your sound in Heliopause and Rogue was incredible. – John T. J.
R.N: Thanks! Yes I hope so, I love that darker sound and I’ve been trying but it’s hard to force it. Do you prefer club sets or festival sets? – Robert M.
R.N: In general I prefer club sets as they are much more intimate. Which three acts do you think everyone should watch out for? – Robert M.
R.N: Alan Morris has really impressed me over the last year, as well as Cold Blue. Vintage & Morelli has also been killing it. I also love what Monoverse has been doing. And if you’re stateside, definitely don’t miss him at this year’s Dreamstate SoCal.